For years Summerville Roofing and Supply has been providing professional roofing, insulation, siding, and gutters in the Summerville South Carolina area. We are able to serve residential and commercial customers with quality installation and repair. Our year round 24 hour emergency service is available in case a disaster strikes your home or business. Summerville Roofing and Supply is a local family owned business, and every job is supervised and guaranteed by the owner of the company! Our company has been satisfying roofing customers in and around the Hilton Head, SC area for many years now. 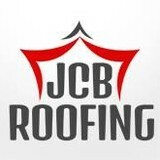 We are staffed by some of the foremost roofing experts you will find on the entire East Coast of the United States. Hilton Head Roofing and Repair is a company that was founded on the principle of providing top notch roofing work and customer service to those that we serve. That is why we have become one of the most recommended commercial and residential roofing companies in this part of South Carolina. What do roofing companies in Ridgeland, SC do? Your Ridgeland, SC roofing contractor can install a new roof or repair an old one, as well as repair and replace gutters. Good roofers in Ridgeland, SC should be able to promptly inspect roofs and gutters to assess damage after a natural disaster or other event, and give you an estimate for the necessary roof repair immediately. Some Ridgeland roofing companies specialize in specific types of roofs, such as tile or metal, so make sure the one you are interested in works with the materials you have or desire. 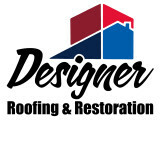 Find a Ridgeland roofer on Houzz. 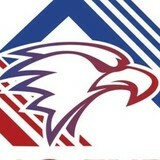 Narrow your search in the Professionals section of the website to roofing companies in Ridgeland, SC. If you’re planning a large-scale project, find other professionals on Houzz who can help get the job done. Here are some related professionals and vendors to complement the work of roofing & gutters: General Contractors, Specialty Contractors, Siding & Exteriors, Door Sales & Installation, Garage Door Sales & Installation.